Discovery has changed! Once warehouses of documents were the backbone of the discovery process as paper was shifted from one litigator to another. 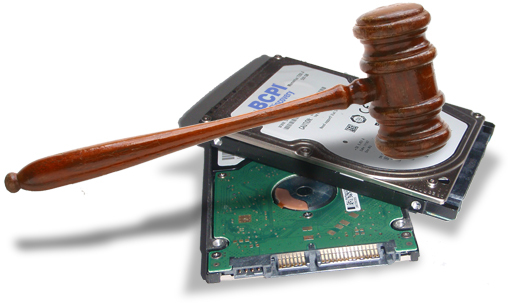 But with eDiscovery, vast amounts of documentation is reduced to the footprint of a computer hard drive. Because 90% of corporate communication is via eMail, and because so many of these messages carry attachments, producing effective eDiscovery can be a challenge. 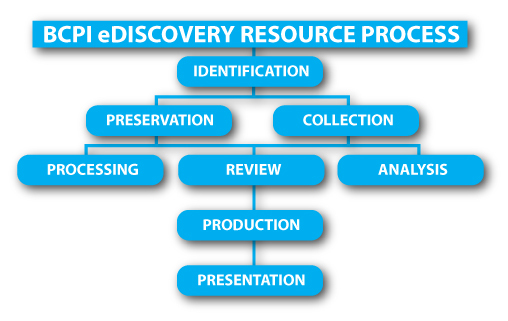 Are You Ready for eDiscovery? What if your company had to produce documentation during the discovery phase of a litigation event? The time and cost can be daunting. Each step in the process of preparation is important and can be time-consuming (and expensive) if you are not prepared for it and do not create the right system for executing the steps. Courts now recognize that electronic data is part of the discovery process. The difficulty for the collection of that data is that there are so many formats that holds the data, and though paper documents still play an important part in the life of corporations, in actual measurement, 90% of documentation are now in electronic form, especially email. On top of that, emails often have "attachments" which can be in any number os variant formats. During discovery, locating and assembling documents can be difficult, with just knowing where to look one of the tasks at hand. Another major challenge is the elimination of duplication. A single email chain might include information repeated dozens, even hundreds of times as the information was disseminated throughout a single corporate structure. Duplication is multiplied when the same information has been stored into multiple computers. Part of the discovery process can be the conversion of documents from esoteric formats that are not assessable through regular programs. Information gathered during the eDiscovery process must be examined to exclude any privileged information that is between the corporation and its legal team. Irrelevant information is also excluded during this examination of information. After the careful review and analysis of the collected information, the gathered information is processed and prepared to be given to opposing legal council. 21st Century litigation services designed to keep pace with the burgeoning world of electronic document production and storage. Paper, Microfiche, Microfilm, Blowbacks, Aperture Cards, Blue Prints/Mylar, cards and more! We can move your documents from one format into another. You do not have to be trapped in an obsolete technology. We can turn an office full of paper into a set of portable CD or DVD disks, databased and indexed. Saving important documents in full color. DocuXplorer allows a user to centralize the access point into a whole realm of stored digital data: records, images, email, faxes, and any other type of paper or electronic files. Learn about this cutting edge technology.